This week at The Paper Players Sandy has a great sketch for everyone. I hemmed and hawed about what I wanted to do with it and finally settle on a Christmas card that used the squares to highlight DSP. I did move the sentiment across the panels instead of below, so hopefully that's ok! 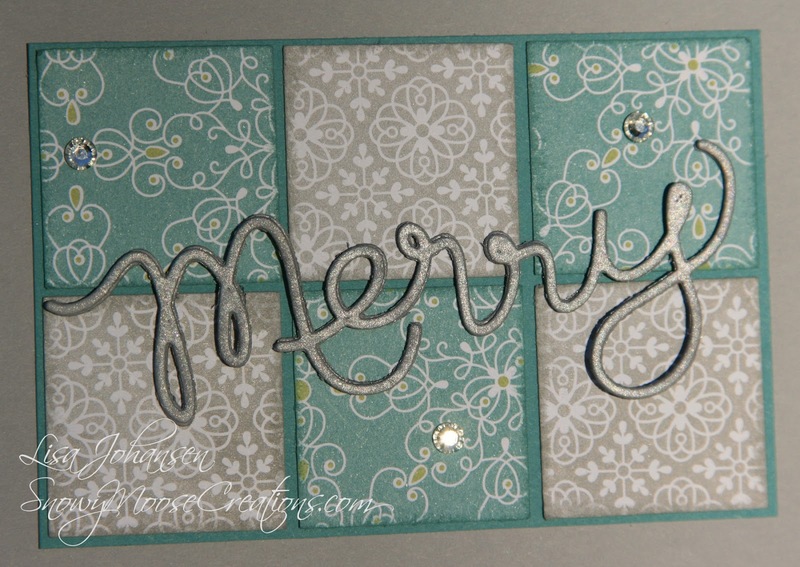 I just really wanted to use that "merry" sentiment and it didn't look right going across the bottom :) The "merry" was cut out 3 times with the Big Shot and adhered to each other for more dimension, and then I sponged it with Metallic Silver ink for more pop. I then channeled a bit of my daughter, who loves all things sparkly, and added some rhinestones to finish the card off, along with some paper piercing. Lisa, what a great card! Love the way the sketch inspired your creation and highlights this beautiful DSP. Love that stacked sentiment too! Thank you for joining us at The Paper Players! That DP should be highlighted...it's SO pretty! I like the sponged ink on the sentiment, and the sparkles are the perfect finishing touch! Thanks for playing along at The Paper Players! 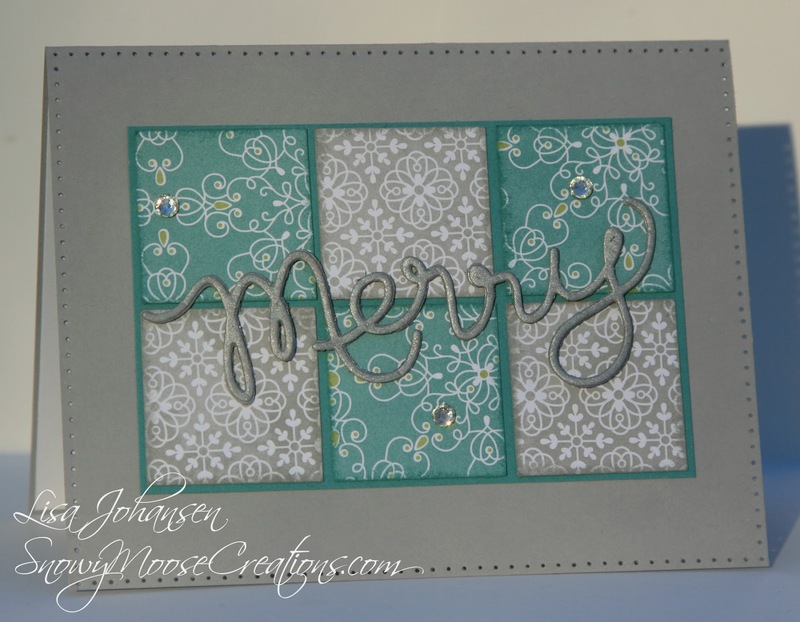 What a wonderful card to showcase that pretty paper, Lisa! Love the die cut sentiment and sparkly rhinestones, too. 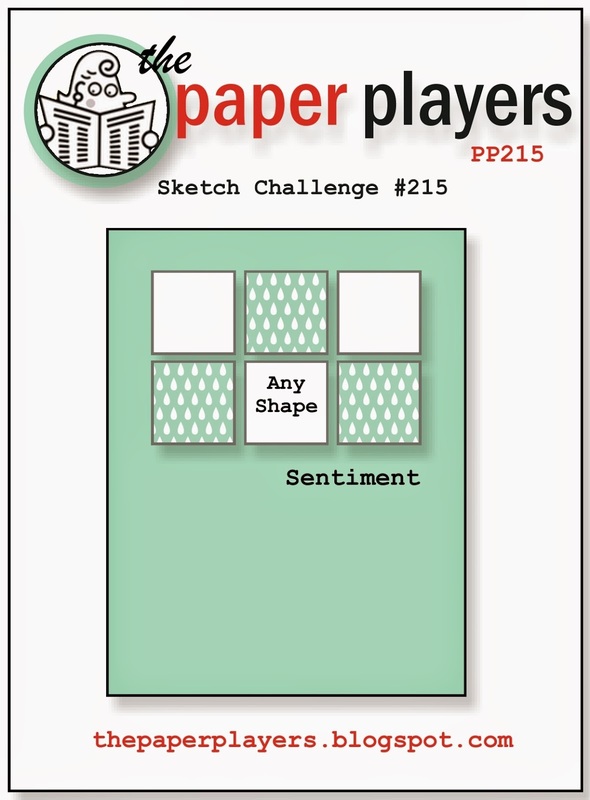 Thanks for playing along with my sketch challenge at The Paper Players! Now, isn't this just lovely, Lisa! I have that die and have not used it yet...inspired!